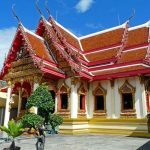 Jet Lag Thailand: 10 Easy Steps to Adjust, Fast! You are here: Home / Travel / 10 Proven Steps to Get Over Jet Lag & Adjust to Thai Time, Fast! 10 Proven Steps to Get Over Jet Lag & Adjust to Thai Time, Fast! If there's one thing I hate about Thailand, it's jet lag. Jet lag causes fatigue, insomnia and even symptoms like constipation and nausea. Seriously, once I'm over it, it's enough to make me not want to step on a plane and go home again. Flying West to East is notoriously bad, and with 7 hours difference between my home country and Thailand, it can make me feel like a zombie for days. Eastward travel is associated with a longer duration of jet lag than westward travel. Although frequent desynchrony is a transient disorder, it carries the potential to lead to long-term consequences, as evidenced by epidemiological and animal studies. Flying back to the UK isn't as bad: I find I just get really tired in the early evening and then sleep early and wake very early. That said, I still feel spaced out and lethargic for a good few days. But when I fly to Thailand, I'm looking at a week to fully adjust, which makes sense, because research shows that it takes your body approximately one hour per day to adjust. Some people aren't affected much, others can sleep anywhere anytime and aren't bothered by the time difference. If that's you, this post won't apply. But if like me you get serious jet lag, then you might find my tips valuable. Over the years, I've developed a routine for dealing with the torture. It isn't bulletproof, but I guarantee it will make getting over jet lag much easier and less stressful. 1. Arrange your flight so that you land in Thailand in the morning. Recently I took a Thai Airways flight that lands at around 6am. This is perfect. The sun is not long up and you are starting the day as you would if you had been to sleep there, well, almost. By the time I land, get to the apartment, shower, eat, unpack, food shop, etc., it's well into the afternoon and I will stay up until the sun goes down. This way I have immediately experienced a full day on local time and psychologically feel more integrated. This might work for some, particularly if you haven't slept at all on the plane and are dying to go to sleep. You can fall asleep immediately and wake up sometime in the morning on local time. But it depends how long you can sleep for. I usually only sleep for 6-8 hours, regardless of how tired I am. So in this case I'd have to stay up until say 10pm anyway to get on track. Either way, try not to land in the middle of the night (1-4am), because you're somewhere in between and and won't reap the benefit of either scenario. Try your best to step straight into the routine of the locals to mentally adjust to their schedule. If you land in the morning like I did, you should try to stay up until the evening before going to sleep. But if you haven't slept on the plane this is going to be hard to do. I'm not getting any younger either, and these all-nighters kill me. So come the afternoon you will start to fade. You may even fade by the time you reach the hotel room. No worries. Take a nap but set your alarm. Don't sleep for more than 2-3 hours; just enough to recharge your brain. Whatever you do, don't sleep too long. I've made the mistake of sleeping until 6pm or longer and then being up until 6am the following day. All this does is prolong the adjustment to local time and your jet lag will stick around longer. 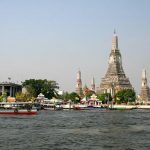 Note: If you're only staying in Thailand for 2-3 days and flying home again, then it probably is wise to stick to your home country's sleep schedule, because that way you won't have to readjust much when going back home. Fresh air (difficult in Bangkok) and exercise are key to staying awake and getting over jet lag. Consider that you've been sitting on a plane for 12 hours or more in the same position; you need to get your body moving. You might be mentally tired, but wearing yourself out physically will help you get a better sleep at nighttime and prevent you waking up so much through the night – which happens because you are sleeping at a time your brain isn't used to. Fresh air and exercise will stimulate wakefulness and help you stay up until it's time to go to sleep (Thai time). Often I'll arrive, unpack, clean up, then head out and do a food shop, go to a cafe and try to keep active through the day. I might then flake out by 8pm, which is a good thing. Zeitgebers (time-givers, or synchronizers) are rhythmic cues in the environment that synchronize the internal body clock to the earth’s 24-hour light–dark cycle. Light is the strongest Zeitgeber; other non-photic Zeitgebers include temperature, social interaction, pharmacological manipulation, exercise, and meal timing. This is a neat little hack that harps back to the same principle as seeing the sun come up/arriving in the early morning. Seeing the sun go down will encourage the production of Melatonin, which is a hormone made by the pineal gland in the brain. Melatonin’s utility in the management of jet lag has been the subject of many studies. When making travel plans, particularly over a distance of five or more time zones, travelers should take melatonin on the day of travel at the projected nighttime hour in the new time zone and on subsequent days in the new time zone. Melatonin helps control your sleep-wake cycle. The sooner you can get your brain to start producing Melatonin on Thai time the sooner you'll sleep better and get over the jet lag. You can assist this process by taking a Melatonin supplement. After being on the airplane for so long in low air pressure, especially if you've had beer or two, you may be dehydrated. Dehydration zaps your energy and makes you feel fatigued. Rehydrate by drinking plenty of water. This will keep you awake and alert and help your body function. To combat dehydration on the flight, make sure you drink water with every alcoholic beverage. Avoid salty foods too, as these dehydrate you and may encourage you to drink more alcohol. Somewhat surprisingly, medical advice for treating sleepiness induced by jet lag is to drink coffee. Studies show that caffeine improves concept formation, reasoning, memory, orientation, attention and perception. In conclusion, both drugs have positive effects on some jet lag symptoms after an eastbound flight: Slow release caffeine on daytime sleepiness, and Mlt on sleep. (Study 2). The worst thing to do when you can't sleep is to toss and turn and stress about it. This will only make it harder for you to fall asleep. You can't force yourself to sleep. It's a frustrating feeling and I know it well; I'm usually awake around 3-5am with jet lag when I return to Thailand. Instead, get up and do something like light reading or tidying up. Maybe put the news on, or go for a walk. In my younger days, I'd even do a workout to totally batter myself into tiredness – careful doing that though! Return to bed only when you start yawning or generally feel that you could sleep. 7. Get Up at the Same Time, Regardless! Don't sleep in. Regardless of the time you managed to fall asleep, help reset your sleep-wake cycle quickly by setting an alarm and getting up on Thai time. Sure, be kind to yourself and get some sleep, but don't lie in until lunchtime or the afternoon. If you do that, you won't be able to fall asleep at a respectable time the following night. Set an alarm for 9 or 10am and get your routine in sync with local time as quickly as possible. This will help you get over the jet lag quicker. You don't need me to tell you that sleeping pills can be addictive, and naturally curing a problem is preferable. Patients are at risk for experiencing common adverse effects that include dizziness, somnolence, loss of memory, headache, and nausea. Adjusting to a new timezone happens naturally, so try to let your body work it out and use the tips in this post to expedite the process. I know pills are tempting, but what happens when you get used to sleeping with them for a few days; are you confident you can put the bottle away and sleep without them? Of course, if jet lag is making you ill and presents a genuine threat to your overall health because of other conditions you have, you should speak with your doctor about medication for travel. If you want a sleep aid, try Melatonin first. Jet lag can be stressful and takes its toll on your mood. Seriously, I've felt pretty low and depressed lying there unable to sleep and feeling like a zombie in the day time. A Thai massage can relieve the stress and anxiety and lift your mood, and help with physical symptoms. Try one a few hours before you plan to sleep and you'll likely sleep a lot better for it. 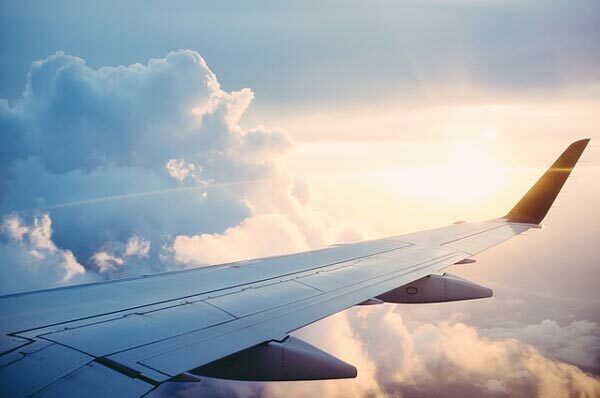 Factors exacerbating jet lag symptoms include sleep deprivation, prolonged uncomfortable sitting positions, air quality and pressure, stress, and excessive caffeine and alcohol intake. Jet-lagged travelers may experience disturbed sleep, daytime fatigue, poor performance in mental and physical tasks, decreased alertness, and headache. Lack of sleep takes its toll on your immune system, which is why catching a cold can often follow a bout of jet lag. Indeed, jet lag can also bring cold-like symptoms with it. Boost your immune system by eating plenty of fruit and vegetables and other healthy, whole foods. Here's 19 Thai fruits to choose from. Got a tip for overcoming jet lag? Please share it below. Regardless of what time you fall asleep, you need to get up early and break the cycle. If you sleep in late then you are allowing your body to compensate for the fact that you didn't fall asleep until late night the night before. Set a schedule and don't break it. Get up with the sun rise, no matter how tired you are, and stay awake until at least 9pm the next night. You'll be so tired you'll fall asleep fast. Do this for a few days and your body clock will reset. Don't nap in the afternoon! It's a killer at times. Best solution is to get up at the same time; don't sleep in. Get up at 7am regardless of what time you fall asleep. Don't nap in the afternoon but go to bed early if you like, around 8/9pm. You'll soon get back into your pattern. Great tips, I fly from East Coast USA to here which is around 12,000 miles or halfway around the world. I do sleep anywhere (military taught me this), and get about 8 hours out of the 12 hours of one of the flight legs. The entire journey is around 25-30 hours. But, when I land... I try to get into my routine right away, by staying awake and sleeping with the sunrise. It is 12 hours different for me, the first day is the worst, but if I push through it.... I am on Thai time by the 3rd day, no problem.One additional comment, not sure if others experience getting sick, but I had noticed a few days after each time I flew over here or back home, I was coming down with a virus making me sick for a few days more times than not. I have come to the conclusion that it is during my 12 hr flight and breathing the same air as hundreds of other passengers, regardless of the filtration system... you are likely subject to it. Talking about this with others... an older English gentleman offered me the following tip... Vicks Inhaler for colds. i have tried this the last two trips and haven't been sick. Might be in my head, but it always in my pocket for those long flights. I got a bad flu after a flight a couple of years back. Every flight there are people coughing and spluttering everywhere, so now I try to wear a surgical mask for the majority of the journey.Any military tips for sleeping? I'm in the third corner. I can sleep on a plane but I make sure I do sleep on the plane. Typically I'll take a red-eye out of Seattle that leaves in the wee-est hours. At this time I am dying to get to sleep but I try to stay awake at least through "dinner" service at which time I'll pop a Unisom (in the States. Don't know what it's called elsewhere doxylamine is the active ingredient) a mild, antihistamine type of sleep aid. It doesn't leave me as groggy as the benedryl-based ones. So 5-6 hours later I'll wake up, watch a movie, and eat some more (trying to get back into the movable feast mentality). Then - and I think this is the key part - I'll take a shower (and have another snack) during my layover. This wakes me up and I'm feeling pretty good. On to the final flight another nap (this one not chemically induced) and - yup - more food). I arrive in BKK mid-day and keep going as long as possible - usually about 7pm the first day and then it's lights out until about 3-4am. The next day is a leisurely one (I too like to grab a massage) and then I'm back to normal.While I have a long flight - 16 hours in planes and a 3 hour layover - it's westbound which (as you mention) is supposed to help. Going back the other way is a different story. The flight is two hours shorter and except for a few hours departing Asia it's daylight and that flight really messes me up. That's 4-day rehab. All I can say is lucky you! The spectrum is broad like that, though: some people suffer badly and others not at all. I too sleep for around 6 hours per night too, and don't sleep on the plane, but my body takes a week to adjust to Thai time. Still, as long as there's no stress to make early morning appointments when upon my return I just accept it and ride it out. Like you say, it's always exciting to return anyway.